A masterpiece of Tiffany’s Schlumberger design. This highly articulated bracelet is truly a marvel of jewellery craftsmanship. 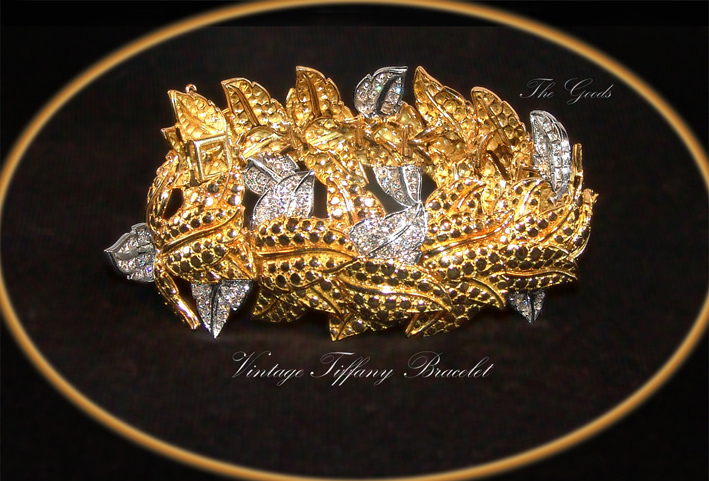 18ct Gold leaves set with platinum plaques with the look of sparkling diamond frost. C-1950, a fantastic piece of jewellery.